following pages might be of interest. Bowls is one of the easiest games to take up and the game itself is basically very simple to understand. The Bowling Green is divided into equal strips (usually four or six) called Rinks and a match is played within the confines of a rink. It is played as singles or between teams of two, three or four a side. A small white or yellow target ball called a Jack is rolled towards one end of the rink and each player rolls their Bowls (or Woods) from a Mat at the other end of the rink. The main aim is to get their Bowls as close to the Jack as possible. Once all the Bowls have been delivered the player or team that has the nearest Bowl to the Jack scores one point, with extra points for any more of their Bowls that are nearer the Jack than the opposing team’s nearest bowl. When the score for that round or End has been agreed, the players repeat the process from the other end of the rink, until either a set number of Ends have been played, or 21 points have been won by one player or side. Simple so far, BUT here comes the catch! The Bowl does not travel in a straight line, but is biased so that it rolls in a curve. How wide that curve is depends on the type of Bowl being used. Obviously by using the bias a player can avoid hitting other Bowls that would otherwise be in the way of the target. 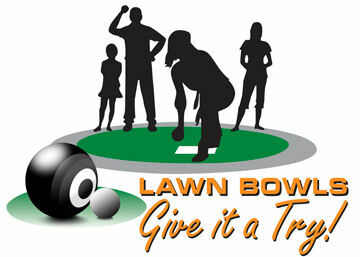 Needless to say there is more to the game of Bowls than this – every game has its rules, and there is an etiquette of who does what within each team – but the beginner will pick this up in due course, and initially doesn’t need to know anything more than the basic principles as set out above. Bowls isn’t an expensive sport anyway, but at Westfield we’ll be delighted to give you the chance to see how you take to the game before you have to lay out any cash. All you need is a pair of flat soled shoes (trainers are fine), and we’ll provide everything else, including friendly advice!